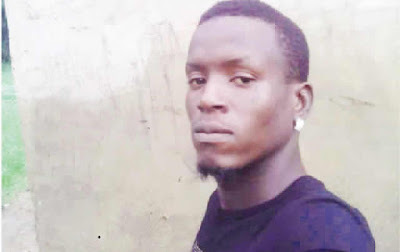 The Chairman, National Union of Road Transport Workers, Abesan Estate, Ipaja, Lagos State, Kazeem Ibrahim, has called for an investigation into the failed assassination attempt on him, which led to the killing of one of his members, Ibrahim Oyesunkanmi, at his place of residence, No 48 Opeki Road, Abesan Estate, on Wednesday, January 30,2019. During a visit to the scene of the murder on Saturday, it was gathered that eight hoodlums, five of whom allegedly scaled the fence of Ibrahim’s residence around 8.35pm, accosted one of his neighbours at gunpoint and made their way to the door of his apartment allegedly in a bid to assassinate him. Kazeem’s wife, Taiwo, said the suspected assassins pretended to be his visitors, adding that the time of their visit and their suspicious conduct by insisting on seeing her husband, prompted her to prevent them from gaining entry into the apartment. She said the visitors, after realising that she had ignored their incessant knocks on the door, were on their way out when they saw Oyesunkanmi sleeping in his room and shot him dead. The 30-year-old nursing mother said, “My husband was asleep that day; whenever he is home sleeping, I usually take my children inside and lock my door to avoid any disturbance. So, on that day, I heard some people knocking repeatedly on the door around 8.35pm, I was wondering who would come visiting at such a time, so I asked who they were and they said they were asking for Kazeem, and I told them that he was not around. “They told me to open the door, saying they wanted me to deliver a message to him, but because they looked suspicious, I ignored them. When they realised that I was no longer responding, they left. On their way downstairs, I peeped through the window and saw three unfamiliar faces, who wore fez caps; and all of a sudden, I heard gunshots. I was scared and immediately ran to my husband, woke him up and told him that policemen had killed someone. “I thought they were policemen, but my husband said police officers could not just shoot like that; adding that if they were police operatives, they would only come to arrest and not shoot. Kazeem, who said he immediately contacted the Divisional Police Officer, Ipaja Division, who mobilised operatives to inspect the scene of the attack, charged the police to investigate the case and arrest the perpetrators of Oyesunkanmi’s murder. The 42-year-old Lagos State indigene said, “My neighbour was eating when the hoodlums scaled the fence and entered the building. They pointed a gun at him and asked him to direct them to my room. If my wife had opened the door for the hoodlums, who posed as visitors, they would have killed both of us. “I am surprised that someone could go to the extent of hiring people to assassinate me; I don’t fight with anyone and I try as much as possible to ensure peace in anything I do, but what this means is that my life is at stake. “When my wife woke me up as she heard the gunshots, I quickly informed the DPO of the Ipaja Division and rushed down to see who the hoodlums had shot. It was painful when I realised that it was Oyesunkanmi; they shot him twice in the chest and once in the neck. They shot him while he was asleep; so, it wasn’t as if he challenged them on their way out. Oyesunkanmi’s uncle, Oloyede, said, the victim was killed seven months after the death of his father. “He used to stay with Big Daddy (Kazeem), who informed the family that hoodlums shot Oyesunkanmi dead at his house. We visited the scene and saw the evidence. Oyesunkanmi’s death is a painful loss; he died seven months after his father’s death. We want the government to investigate this matter and help us apprehend those hoodlums who killed him. We want them to face the law,” the 47-year-old said. The Lagos State Police Command Public Relations Officer, CSP Chike Oti, who confirmed the incident to our correspondent, said Oyesunkami’s death was as a result of a failed assassination attempt on Kazeem, adding that an arrest had been made and that the Commissioner of Police, Edgal Imohimi, had directed the State Criminal Investigation and Intelligence Department to take over the case for further investigation.